Superior Septic Services can help you with ecologically responsible septic service in Marysville. 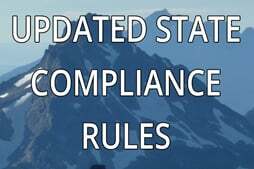 In recent years regulations for septic services have become increasingly strict. There are sound ecological reasons for doing this. Septic systems, both home systems that use a septic tank and bigger systems for cities or towns, are an important part of keeping our waterways and drinking water fresh and clean. Septic tanks have come under fire because many people do not understand how to maintain their home sanitation system. While they can be maintained in a manner that will efficiently take care of household waste, too often septic tanks fail because of a lack of understanding of how they work. While maintaining the tank and the ecosystem of bacteria in it is important, of equal importance is the leach field. That is where the fluids from the tank are filtered before entering the greater ecosystem of streams and lakes. The leach field usually consists of perforated pipes that are six to eight inches underground. Around these pipes, a jelly-like substance called the biomat forms. This biomat helps digest pathogens that have escaped the septic tank before they can enter streams. You can help maintain your septic system by limiting the substances you feed it. Use low-flow toilets, water saving showers, and similar devices to reduce the load on it. Create a compost heap or bucket for kitchen wastes and divert rainwater away from your septic system. 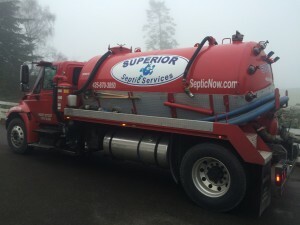 Here at Superior Septic Services, we’ve been taking care of septic service in Marysville for more than 25 years, so call us at (425)905-2485 to answer your septic tank questions or to schedule maintenance on your system. We are dedicated to working, ecologically sound septic tank maintenance and are here to help.